Apo (which means “grandson” in the local dialect) Island is a marine sanctuary located off the south-western coast of Negros Oriental. 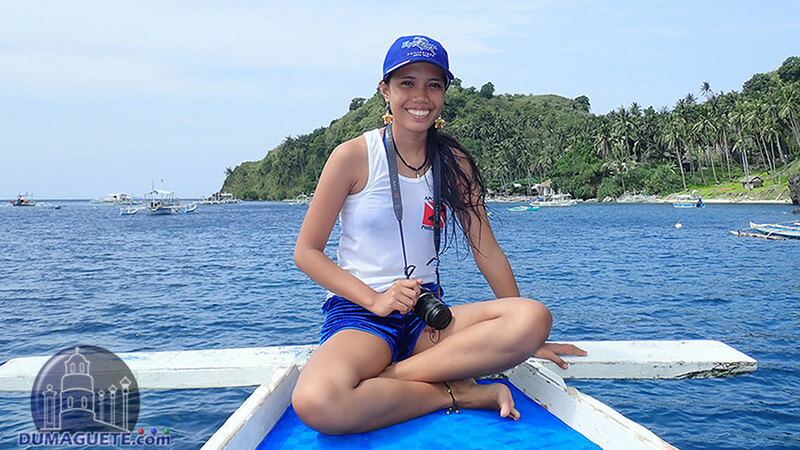 The island is situated about 8 kilometers off the coast from the municipality of Dauin, about 17 kilometers south of Dumaguete City Apo Island is a conservation area, together with its surrounding coral reef. 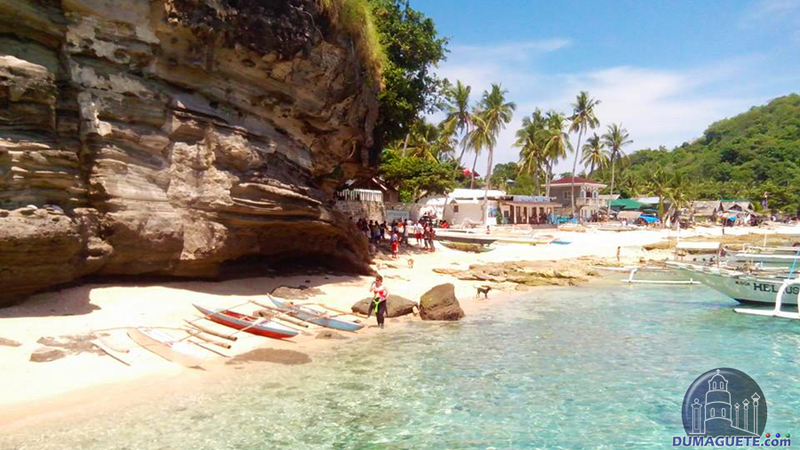 Diving Apo Island is a “must” when visiting Negros Oriental. Non-divers should go on a snorkel trip to the stunning coral gardens of the island. Currently, there are about 950 residents living in the area who subsist through traditional fishing in designated areas around the sanctuary. Traditional fishing methods include catching fish through hooks or through bamboo fish traps. 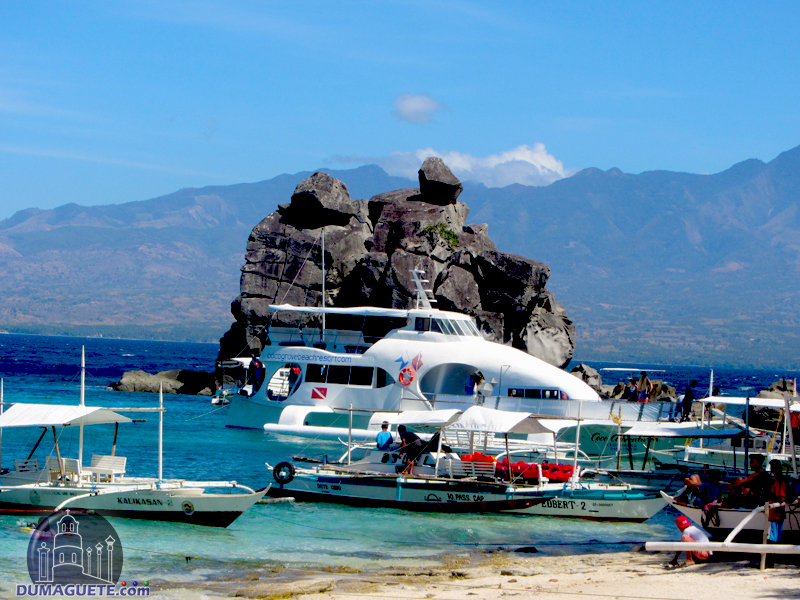 Apo Island is a must-see when it comes to diving and snorkeling activities in Dumaguete City. The wide array of corals and marine life in this island is simply amazing, giving you the feel of being inside a large aquarium. For a more challenging activity, you can explore drift diving at the Mamsa, Coconut, and Cogon Points. 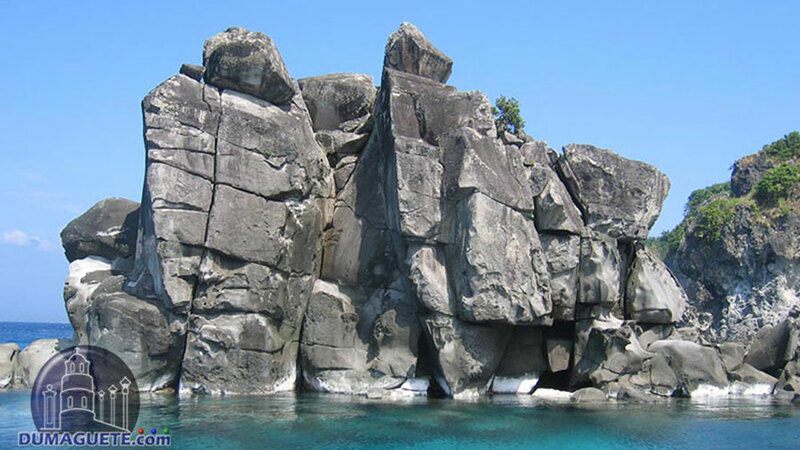 You can also explore other diving points in the island such as Rock Point, where you can find a colorful array of coral formations, and Chapel Point, which offers spectacular caves and overhangs built inside a wall. Silliman University’s marine laboratory in Dumaguete had reported more than 400 species of corals and 650 species of fish in the island. 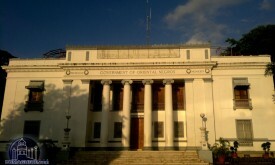 A daytrip to Apo Island will complete your tour of Dumaguete. 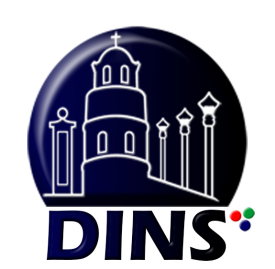 These trips are available several times a week from a dive and beach resort in Dauin. 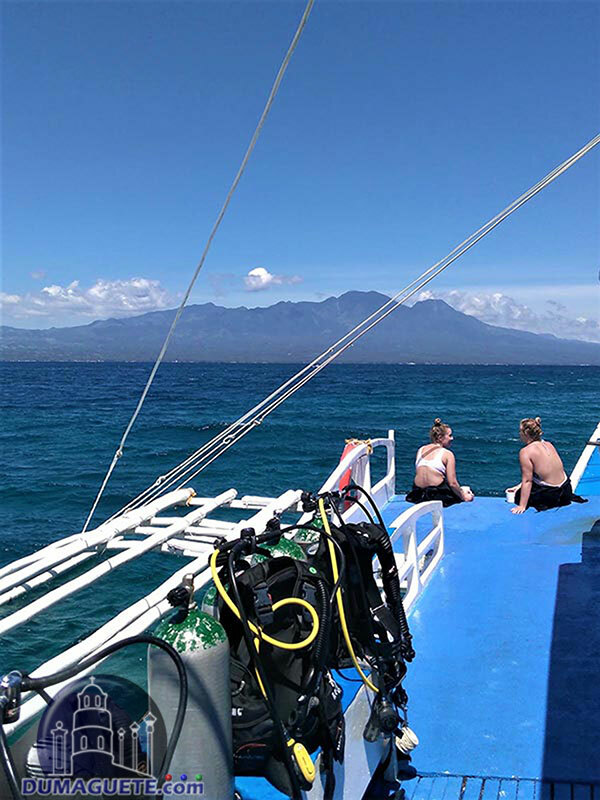 The package includes three dives with surface breaks for each one either on the boat or on the shore, during which time the dive master may proceed to pay for your marine park fees. The trip starts at 8 or 9 AM and it takes about 40 minutes to get to Apo Island. The first dive occurs after you reach the island, the second at 11 AM, and the third one is after lunch break which is more of a relaxing dive. You will then head back to the resort in Dauin after this last dive. 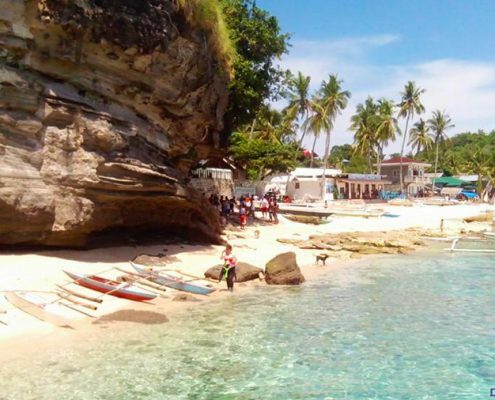 Apo Island offers two resorts, two dive operators, and several guesthouses where you can stay if you plan to visit the island for a few days. Since it is quite far from the mainland, only a few basic amenities are available for guests and drinking water is brought from the towns in Negros. The supply of electricity at night is also limited to only a few hours and the voltage is also poor. Charging equipment for photography is often difficult due to these circumstances. 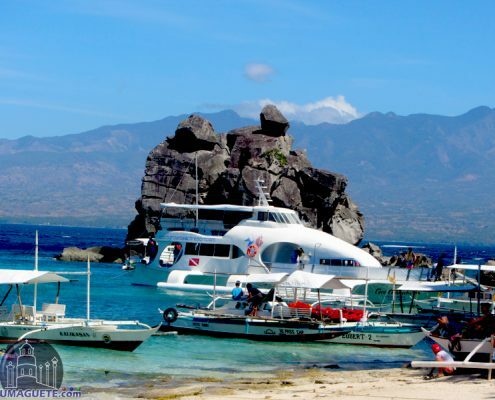 One can also visit Apo Island by contacting the various dive shops and resorts in Dumaguete City. They offer trips to the island through small bangkas or outrigger boats which leave at around 8 AM. The time of the return trip in the afternoon depends upon the number dives that you wish to do, with three dives as the maximum. 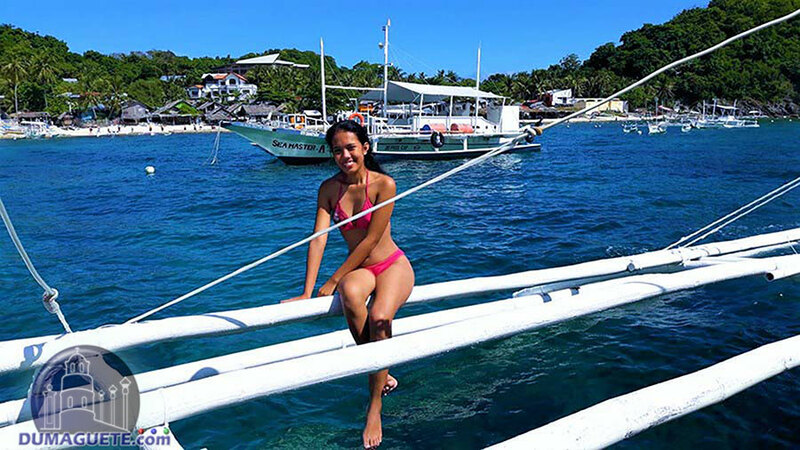 If you want a do-it-yourself tour of the island, you can travel to Malatapay and take the public bangkas that serve as public transportation going to the island. It would generally take about 40 minutes to get to Apo Island, and you will have to register at the collector’s office after you arrive. There is a 150-peso fee for each day that you stay in the island and additional fees may be charged for diving activities. 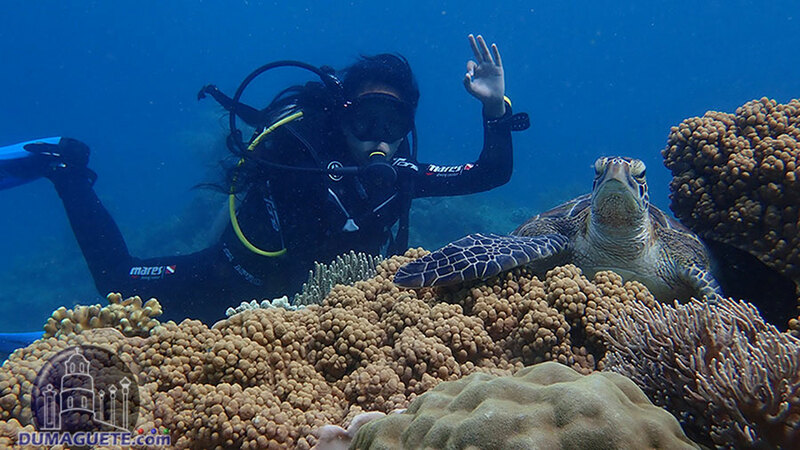 If you opt for the dive packages offered by the resorts in the Dumaguete, these fees may be included in the package costs. 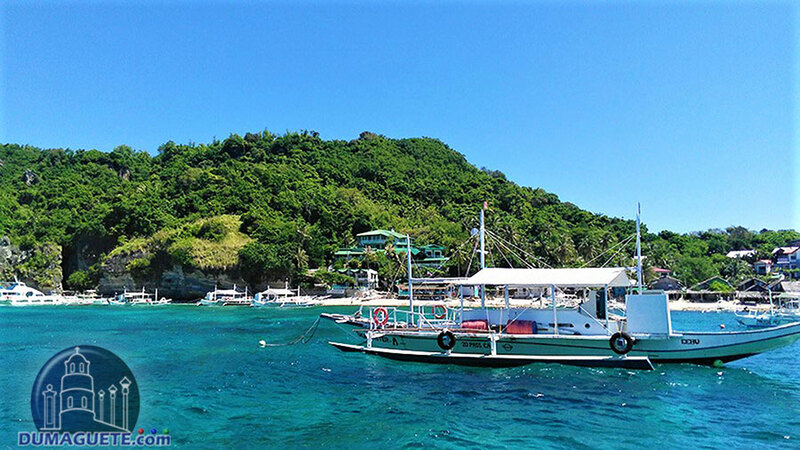 When visiting the Philippines, particularly the Visayas region, don’t miss the opportunity to visit one of the major dive-spots in the country, Apo Island.